If you suffer from hearing loss, you are not alone. 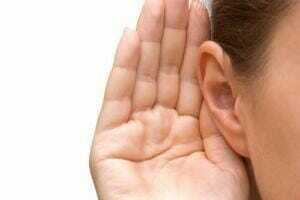 Approximately 17 percent (or 36 million) of American adults say that they have some degree of hearing loss (source). In older adults, hearing loss is a common condition, affecting about one-third of Americans between the ages of 65 and 74 and nearly half of those 75 and older (source). Some forms of hearing loss can be inherited. Not all inherited forms of hearing loss take place at birth, however; some can show up later in life. For example, otosclerosis, which is thought to be a hereditary disease, disrupts hearing later in life as an abnormal growth of bone prevents structures within the ear from working properly. Typically, hearing loss caused by otosclerosis doesn’t begin until 10 to 30 years of age. How do loud noises impact hearing loss? Noise plays a major role in hearing loss. In fact, frequent exposure to loud noises is one of the most common causes of hearing loss, because high-decibel noises can permanently damage the inner ear. It also contributes to tinnitus (a ringing, roaring, clicking, hissing, or buzzing sound in the ears). Some people experience both hearing and tinnitus due to a combination of noise exposure and advanced age. We measure the intensity, or loudness, of a sound in units called decibels (dB). An ordinary conversation with a friend will reach approximately 60 dB, while the noises produced by city traffic can reach up to 85 dB. A firecracker can reach an ear-piercing 150 dB! Noises that reach 85 dB or above can permanently damage the inner ear, leading to hearing loss. Can I protect my ears from loud noises? Noise-induced hearing loss is 100 percent preventable. The loudness of a sound and the length of your exposure to it will impact the severity of damage possible. To protect your hearing, avoid noises at or above 85 dB, including lawnmowers, snow blowers, motorcycles, firecrackers, and loud music. Reduce the sound if you can, or wear ear protection if you cannot. For example, lower the volume on personal stereo systems and televisions. 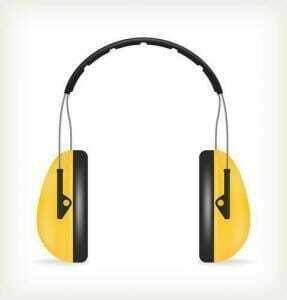 When you cannot escape or reduce noise, wear earplugs or other hearing protection devices. If you are a parent, protect your children’s ears as well. Can medications cause hearing problems? Yes, some medications cause irreversible damage to the ear; they are limited in their use for this reason. These include aminoglycosides (main member gentamicin) and platinum-based chemotherapeutics, such as cisplatin. In addition, on October 18, 2007, the U.S. Food and Drug Administration (FDA) announced that a warning about possible sudden hearing loss would be added to drug labels of PDE5 inhibitors, which are used for erectile dysfunction. Some medications may reversibly affect hearing. These include some diuretics, macrolide antibiotics, and non-steroidal anti-inflammatory drugs (NSAIDs), like aspirin and ibuprofen. According to a study by researchers at Brigham and Women’s Hospital in Boston, the link between NSAIDs and hearing loss tends to be greater in women, especially those who take ibuprofen six or more times a week (source). If you take any medications, ask your doctor if they are ototoxic, or potentially damaging to the ear. If you do take an ototoxic medication, ask if your doctor can substitute another medication or safely reduce your dosage. What other factors play a role in hearing loss? Hearing loss can also result from specific drugs, asphyxiants, metals (like lead), and solvents (like toluene, which is found in crude oil, gasoline, and automobile exhaust). When combined with exposure to loud noise, these ototoxic chemicals can augment a person’s hearing loss. Hearing loss caused by chemicals starts in the high-frequency range and is irreversible. It can cause cochlear lesions and degrade central portions of the auditory system. With some ototoxic chemicals, particularly styrene, the risk of developing hearing loss is actually higher than through loud noise exposure alone. Thus, controlling noise levels and using hearing protectors will not sufficiently protect you from hearing loss if you are exposed to these chemicals. However, taking antioxidants can help prevent ototoxic hearing loss – at least to a degree. Since hearing loss can occur at any stage of life and has many different causes, you may be unaware that you suffer from it. If you’re uncertain, ask yourself the following questions. If you answer “yes” to three or more questions, you may suffer from a hearing problem. Consult an audiologist and schedule a hearing exam so that you can identify the issue and explore possible solutions. Do you struggle to hear when there is background noise? Is it hard for you to follow a conversation when two or more people talk at once? Do you have to strain to understand a conversation? Do you often feel like people are mumbling or not speaking clearly? Do you sometimes misunderstand what others are saying and respond inappropriately? Do you have trouble understanding women and children when they talk? Do you often hear a ringing, roaring, clicking, hissing, or buzzing sound in your ears? Do some sounds seem excessively loud? Doesn’t hearing loss only affect older folks? This is a misconception. Hearing loss can occur at any time, at any age. In fact, most people with hearing loss (65%) are younger than age 65! There are 6 million American people between the ages of 18 and 44 that suffer from hearing loss, and around 1.5 million are school-age children. So if you believe you suffer from hearing loss, schedule an appointment with an audiologist no matter what your age. Not necessarily. Only about 13% of general physicians routinely screen for hearing loss. Plus, since most people with hearing impairments hear perfectly well in quiet environments (like a doctor’s office), it can be very difficult for a physician to recognize the problem. So if you believe you may suffer from hearing loss, consult an audiologist. Only a trained hearing professional can determine the severity of your hearing problem, decide whether or not you could benefit from a hearing aid, and determine which type of hearing device best suits you. What types of hearing changes are most common in older adults? Presbycusis, also known as age-related hearing loss, is the cumulative effect of aging on hearing. Most marked at higher frequencies, this progressive, sensorineural hearing loss develops gradually as a person ages. It most often impacts people over the age of 50, and it is permanent. Although doctors don’t fully understand why presbycusis occurs, it seems to run in families and it involves damage to the inner ear. People who suffer from presbycusis may find it difficult to tolerate loud sounds or to hear what others are saying. Tinnitus, which is also common in older people, is a ringing, roaring, clicking, hissing, or buzzing sound in the ears that is not caused by external noise. It can accompany any type of hearing loss, and it is frequently caused by presbycusis, exposure to loud noise, and certain medications. In addition, tinnitus can indicate other important health problems, like allergies or issues relating to the heart and blood vessels. Tinnitus can come and go, stop altogether, or persist for a lifetime. How can hearing loss impact an older person’s life? People with hearing loss often struggle to fully participate in everyday life. They may mistake words in a conversation, miss directions or warnings, or leave a ringing doorbell unanswered. Older people who can’t hear well may experience depression or choose to withdraw from others to avoid feeling frustrated or embarrassed that they cannot understand what is being said. In addition, they may become suspicious of relatives or friends who they believe “mumble” or “don’t speak up” on purpose. Hearing loss can isolate older people and may even put them in harm’s way if they are unable to respond to warnings or hear sounds of impending danger. Sometimes people mistakenly assume that an older person is confused, unresponsive, or uncooperative because they don’t hear well. I’ve heard some complaints about hearing aids. Are they true? My own voice sounds strange. Hearing aids amplify some or all sounds, including the sound of your own voice. Typically, this becomes less noticeable with time and use. If it bothers you, contact Sound Relief Hearing Center so that one of our hearing professionals can address the problem. My hearing aid produces whistling sounds or feedback. Hearing aids produce whistling sounds or feedback for several different reasons, all of which are easily resolved. First, if your hearing aid fits too loosely, it will allow the amplified sound to escape from your ear. The microphone receives this sound, causing feedback. Second, you may receive feedback if you stand too close to a surface that reflects sound, such as a wall. Finally, some feedback problems occur because the user turns the device’s volume control too high. You can easily remedy most of these feedback problems on your own. If you continue to experience problems with feedback or whistling sounds, consult an audiologist and bring your hearing aids to the consultation. We can help you find a solution. I feel pressure in my ear when I wear a hearing aid. If excess air becomes trapped between your eardrum and your hearing aid, you may experience a sensation of pressure. A hearing professional can alter your device to alleviate the problem if it persists. 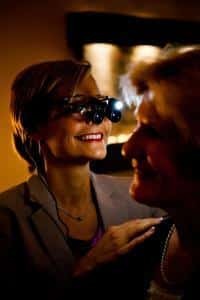 Audiologists are healthcare professionals that specialize in identifying, diagnosing, treating, and monitoring disorders of the auditory and vestibular system portions of the ear. They are trained to diagnose, manage, and treat a variety of hearing-related conditions, including tinnitus, hyperacusis, hearing loss, and balance problems. In addition, audiologists dispense, manage, and rehabilitate hearing device users. They can also assess candidacy for cochlear implants and map implants. Audiologists undergo training in anatomy, physiology, hearing aids, cochlear implants, electrophysiology, acoustics, psychophysics, neurology, vestibular function and assessment, balance disorders, counseling, and sign language. Depending on the program they attend and the county in which that program is located, an audiologist usually graduates with one of the following qualifications: Au.D., STI, PhD, or ScD. Are the audiologists at Sound Relief Hearing Center M.D.s? No. Our audiologists are all Doctors of Audiology that specialize in non-surgical options for treating hearing loss and tinnitus. If you require an M.D., Sound Relief Hearing Center can refer you to the doctor that best suits your needs. However, most people with hearing loss do not need an M.D., because the condition cannot be treated through medication or surgery. How do I select the best hearing aid for my needs? When selecting a hearing aid, you will need to take several factors into consideration to find the right device for you. For example, think about the nature and severity of your hearing loss, your lifestyle, the activities you enjoy, your job, your eyesight, and your dexterity. The size and shape of your outer ear and inner ear canal will also influence your options. When you visit Sound Relief Hearing Center, our professional team will review all of these factors and assess your test results to help you select the perfect hearing device. Using our expertise, we will provide a recommendation and guide you on your road to better hearing. Misophonia, or hatred of sound, is characterized by intense aversion to specific “trigger” sounds. For example, you might strongly dislike the sound of chewing, breathing, throat clearing, or repetitive sounds (like tapping a pencil or clicking a pen). At Sound Relief Hearing Center, our treatment options for misophonia include sound therapy and cognitive behavioral therapy. What is a cochlear implant? How do I know if I need one? If you suffer from a certain severe type of hearing loss, your doctor may recommend that you visit an otolaryngologist (a surgeon who specializes in ear, nose, and throat diseases) to learn about cochlear implants. These small electronic devices are placed behind the ear, under the skin, by a surgeon. The cochlear implant picks up sounds, transforms them into electrical signals, and then sends them past the non-working part of the inner ear so that they can reach the brain. For most people with hearing loss, a hearing aid proves helpful enough that a cochlear implant is unnecessary. However, if you suffer from profound hearing loss and your hearing aid is insufficient, contact an audiologist to learn more about cochlear implants. Your audiologist will conduct a hearing test and assess your candidacy for a cochlear implant. 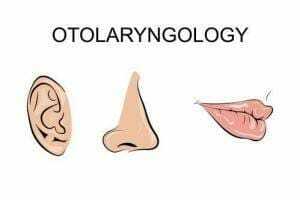 Otolaryngology – Head and Neck Surgery (also called otorhinolaryngology) is a surgical specialty devoted to the care of adult and pediatric patients with ear, nose, throat, and neck conditions. Physicians in this field are commonly known as ear, nose, and throat (ENT) doctors. Otolaryngologists must complete at least five years of surgical residency training, including at least one year of general surgery and at least four years or otolaryngology training. During their schooling, they acquire the skills needed to manage a variety of problems: sinusitis, allergies, mouth and throat cancer, masses of the neck, voice and swallowing problems, trauma to the face and neck, ear infections, dizziness, hearing loss, and many other problems arising from the structures of the head and neck. After completing residency training, otolaryngologists must take written and oral examinations to become board certified. The American Board of Otolaryngology publishes professional standards and uses a process of certification to assure the public of certified physicians’ training and knowledge. What are otologists and neurotologists? Working as a part of a team with neurosurgeons, neurotologists also manage diseases and disorders of the cranial nerves and skull base. Are hearing aid batteries dangerous? Like all batteries, the batteries used in hearing aids are extremely dangerous and toxic if swallowed. For this reason, you should keep all batteries away from children and pets. If you or someone you love accidentally swallow a hearing aid, contact 911 immediately. What is an ear mold impression? To create a personalized hearing aid, an ear mold impression must be made of the ear. Although the process may feel slightly awkward, it will not hurt and it will only take a few minutes. This mold is then sent to an audiologist, who creates the custom-fitted hearing aid.